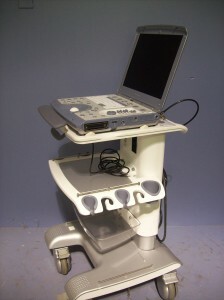 Once you have purchased a quality pre-owned ultrasound system from UsedUltrasound.com, you will need to make sure it is regularly serviced. That’s why we have developed our own in house ultrasound maintenance contract that allows you to receive ultrasound service from the same trusted experts who helped you find your used ultrasound in the first place. No matter where you are in the United States, we have trusted ultrasound technicians near you who can take care of all the regular ultrasound equipment maintenance you need to keep your ultrasound machine operating at the highest level. In addition to our ultrasound service contracts, you may at some point or another find yourself faced with a broken ultrasound. Our in house ultrasound technicians are extensively trained and can handle immediate ultrasound repairs on any make or model of ultrasound machine. We provide our customers with low hourly rates, a 24 hour on site service guarantee and a fast turnaround for on site repairs. 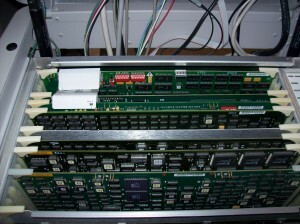 With a trusted network of ultrasound repair technicians across the country, broken ultrasound probes and broken ultrasound tranducers will be examined right on your premises, but if your ultrasound repair does require sending away for parts, UsedUltrasound.com can assist you with that as well. Our team of ultrasound technicians is available 24 hours a day to assist with any ultrasound malfunction at cost effective rates that can best any manufacturer. Through a UsedUltrasound.com service contract, you gain access to ultrasound technicians who have experience working on all makes and models of ultrasound systems. UsedUltrasound.com customers who secure a service contract also receive a guarantee that an ultrasound technician will be on site to examine your ultrasound within 24 hours of a call. With a UsedUltrasound.com service contract, we can put together an ultrasound maintenance schedule to fit your needs, whether it is a contract that spans one single year or several years. All of our ultrasound maintenance contracts include two visits each year that will be scheduled to take care of ultrasound preventative maintenance on your ultrasound machine. Our ultrasound service contract covers everything in one package, including labor hours and travel expenses and hours for our ultrasound technicians and any necessary ultrasound parts or materials. Every ultrasound system requires preventative maintenance each year, so contact our ultrasound experts here at UsedUltrasound.com today to ensure that your ultrasound equipment will be in good hands with our service contracts and around the clock repair services. To find out more, please contact us by phone at 1-877-661-9911 or fill out the form below to discuss which service contract will best suit your needs for your ultrasound equipment, ultrasound probe or ultrasound transducer make and model. Our service team is standing by to offer you the best rates around.